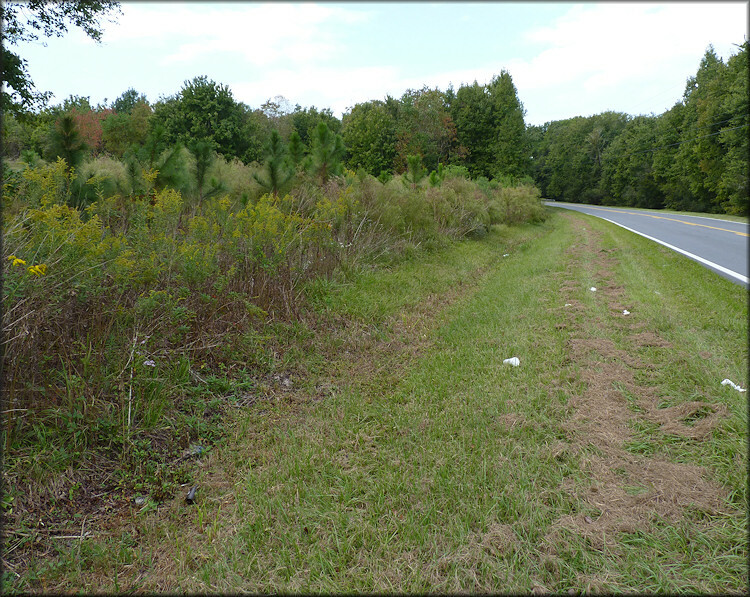 During a field survey on 4/3/2010, land snail enthusiast Brian Marshall discovered a population of Daedalochila auriculata in the roadside swale on the south side of Plummer Road in far northwestern Duval County, Florida. During his visit, Brian found a total of 10 specimens including three that were alive. The site (GPS: 30.26422N 081.48009W - WGS-84 Datum) is located 1.8 miles west of the intersection of Plummer Road and Old Kings Road. A further survey of the site by this reporter on 4/5/2010 yielded an additional two dozen shells of which two were alive. A more thorough survey of the site on 4/10/2010 determined that the colony extends for at least a distance of 0.15 miles in the roadside swale on the south side of Plummer Road.